In today’s ever-changing world, there is a demand for new skill sets every year. For organisations to survive in the long term, it is imperative they ensure staff remain future-ready and embrace a culture of lifelong learning. As for Maybank’s Nora, taking into consideration IR4.0 and the rapid technological advancements, her top considerations are immediate impact, sustainability and integrated. As for being integrated, she noted the programme needs to clearly establish how it will develop skills employees need to operate in an open-platform, and collaborate with the organisation’s internal and external ecosystem. 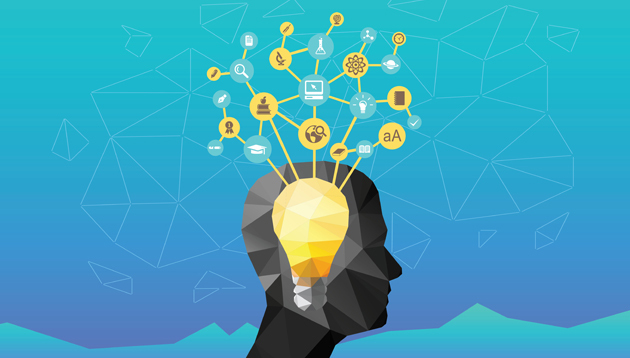 With these considerations in mind, Human Resources spoke to HR leaders from Maybank, TIMEdotCom, Citi and Digi to find out how their organisations approach lifelong learning. Today, the banking industry faces rapid changes and intense competition from new and non-traditional organisations. This requires organisations to embrace new ways of thinking to continuously be a leader in the business. For Maybank, this means positioning itself as the “digital bank of choice”. In line with that objective, the bank launched the Maybank FutureReady digital upskilling programme in February 2018. Hence, the bank’s FutureReady upskilling programme targets to upskill employees in areas of digital awareness, data-driven decision making, human-centred design, agile methods, future communications, as well as ethics and governance in a digital world. The workforce can only be part of the solution if they are digital-literate. “In view of the continuous rapid changes as the norm, we have specifically called the upskilling programme ‘FutureReady’ because our staff will need to be prepared continuously learn new skills on their own,” she said. The FutureReady upskilling programme is mandatory for all employees in Maybank, including those at the highest level – the Group Executive Committee (EXCO). It has been communicated through various channels and innovative methods. “We created a short and catchy quiz titled “Am I FutureReady?” and publicised this via our internal communications channel and engaged our staff via this quiz. Within two days of launching the quiz, we had over 4,000 staff completing the quiz and subsequently over 90% of staff in Malaysia, Singapore and the Philippines within two months,” she said. Through the quiz, the bank was able to identify areas of focus in increasing the workforce’s digital literacy. 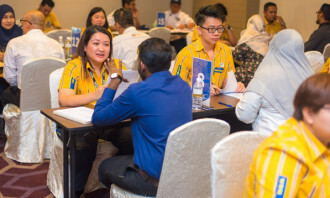 Maybank also took proactive steps to engage union representatives upfront and solicit their feedback on how improvements could be made to the learning materials of the programme. This was done via a quarterly dialogue session. For line managers, Maybank developed a unique experiential learning format called the FutureReady Labs where managers are trained to be facilitators of learning in their respective teams and departments. “Essentially, the FutureReady Lab is a dialogue and problem-solving session to learn as a team, which can be an efficient and effective means to do mass upskilling,” Nora said. Every new programme implementation comes with its own set of challenges. For this programme, Maybank faced two key challenges during implementation – speed of execution as well as changing staff mindset. The first challenge came when the team realised the programme had to be launched within three weeks after approval from top management for it to benefit from a full-year of implementation and outcomes within the year itself. The second challenge was influencing the mindset of staff to accept the idea of upskilling themselves in new areas that were challenging and obscure, and to do it with a great sense of urgency. “To address this, the support from our group CEO and EXCO team was essential,” she emphasised. Maybank’s group EXCO not only deliberated on the programmes needed, but also conducted various communication sessions with staff . During these sessions, the sense of urgency was relayed, along with the reason why upskilling was of paramount importance for employees, as well as how it helps them, and the bank, stay relevant. “As a result of this concerted effort by our top management team, we have achieved over 90% completion rates on our e-learnings in Malaysia, Singapore and the Philippines within 2.5 months,” she said. As of April 2018, the programme has seen outstanding results with more than 20,000 of Maybank’s staff acquiring higher digital awareness via completing e-learning. On top of that, more than 800 of the bank’s managers have acquired the skills to create a learning culture within their teams. Last year, TIME dotCom realised employees were eager to learn, but hampered by timing. Hence, the telecommunications company decided to move towards blended learning – a combination of e-learning and face-to-face training. Wan Ezrin, chief people officer at TIMEdotCom, elaborated: “For example, the course they want to go on isn’t available when they have time to go for training. So we decided to leverage on e-learning to help democratise the learning experience. TIME dotCom designs and develops everything in-house and has a range of programmes from leadership and soft skills to regulatory and technical subjects. Th is way, there are no barriers related to costs. The new programmes were communicated through town halls and regular internal communication. “We use emails and our internal social media to let people know about what’s going on and what is available. As a result you get the domino effect that is represented by two groups of employees. First the ‘champions’ will see the value and opportunity and go for it, then the ‘followers’ will follow because they don’t want to be left behind. These two groups make up the majority,” he said. People feel odd when they try something new – so that meant lots of FAQs and answering questions on how to go about blended learning. Another difficulty that has to be overcome is to ensure employees continuously participate in training. One way TIME dotCom has done this is through the performance management process where a percentage is allocated to “personal challenge”. “This makes it possible for employees to score their ‘personal challenge’ points through going for an approved development initiative,” he said. One example he shared was of managers who were subconsciously treating their employees disrespectfully. After going for development, they see their mistake and go back to work as better people and managers. “There’s no doubt old habits die hard, but it is easier to kill habits when one is aware of them,” he said. Another example was of maximising the use of software for work. Technology (hardware) aside, the bank believed mindsets, organisational structures, operating models and talent skill sets needed to change. “As one of the largest banking employers in Singapore, Citi is deeply committed to preparing today’s workforce for tomorrow’s economy,” Osorio said. In line with that, the bank’s HR team works closely with client-facing colleagues from the business to discuss evolving business needs and collectively identify areas of development to bridge the skills gap. “We also encourage our employees to take an active role in managing their careers and we continuously roll out new career and learning development programmes to help them acquire forward compatible skills,” he said. Some recent examples of learning development programmes Citi has rolled out include a series of future-compatible, skillsbased training programmes accredited by the Institute of Banking and Finance Singapore; the Citi For You – My Career platform; and the soon to be launched Degreed platform. We continuously roll out new career and learning development programmes to help them acquire forward compatible skills. In March 2018, Citi was one of the first banks in Singapore to launch a series of future compatible skills-based training programmes accredited by the Institute of Banking and Finance Singapore for its employees. On April 30, Citi launched a new My Career experience on Citi For You (CFY) – its internal platform – consisting of features to support and inform employees about their work, career and life. The new My Career experience aims to empower employees to own their own career by providing a single gateway for all they need to develop, learn and grow. It provides access to performance management, mobility anrecruitment, onboarding, regional career sites, and Degreed – all of which have been transformed to support employees in a new way that is accessible and easy to navigate. “As part of this new initiative, we will also be introducing a monthly ‘expert talks’ series anchoring on themes surrounding career development, industry trends and future compatible skills,” Osorio said. In the coming months, Citi will be launching Degreed, a new platform accessible via CFY My Career. “Through Degreed, employees can access resources from Udemy for Business, GetAbstract, HMM, Khan academy, Ted, edX and more. The best part about Degreed, he revealed, is it learns about the user over time and will provide suggestions on their daily learning feeds as well as recommendations from other colleagues in the user’s network. As a company in the rapidly changing telecommunications industry, for Digi, it is a must to shift quickly towards being a digital player to compete with new digital players and stay relevant. Hence, Lydia Low, HR business partner for the marketing and business division at Digi, said: “At Digi, we have been embedding the digital ambition into our conversations and town hall sharing since 2016. Low believes these conversations help drive awareness among employees on the importance of lifelong learning and keeping themselves relevant for the digital transformation Digi is embarking on. With that understanding in place across the organisation, the telco then provides learning platforms to accelerate learning with topics guided by the business road map. In line with that, Digi removed all counters from its stores to enable retail front-liners to interact with customers. Staff are also provided tablets to help customers sign up to the products. Seeing that most of our retail staff are very savvy with Facebook and are active on our closed group, we decided to use Facebook Live and it worked so we continued using it. Additionally, for Digi’s front-liners who are scattered across the country, the typical face-to-face formal training is a challenge to orchestrate and can be disruptive to store operations. Hence, in late 2016 to 2017, when the retail and L&D teams needed to roll out a programme to the front-liners, they came up with a new innovative way to conduct training. “We were time and resource constrained. How do we train people while accommodating their work schedules and our store operations? Seeing that most of our retail staff are very savvy with Facebook and are active on our closed group, we decided to use Facebook Live and it worked so we continued using it.” The trainings are conducted in the mornings for 15-30 minutes before the store opens. Store heads are informed about the training dates beforehand. The store heads will then log in to the group at the same time and project the Facebook Live stream to the TV that Digi has in its stores. Speaking about the results of the initiative, she said: “We notice employees in retail prefer this method of interaction. It makes training more relevant for them and you can see that employees are very engaged. 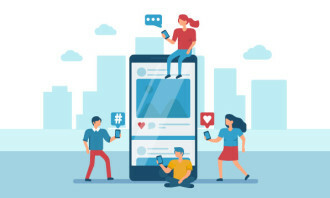 Apart from Facebook as a training platform, she revealed the company collaborated with its device partners to provide digital learning through mobile apps, enabling front-liners to enhance their digital experience as they learn. At the same time, retail front-liners can keep abreast with the latest Digi product knowledge through an online retail learning portal. “Digi has also invested heavily in global learning platforms such as Lynda, Udacity and Coursera. This helps us truly democratise learning. In the past, it would have been unthinkable to send a whole lot of our frontliners to some of the top business schools in the world for training. She noted these opportunities empower front-liners to not only get better in their current jobs, but also acquire capabilities that can help them transition to other jobs that are increasing in demand. “We have our people in full control of their learning journey and career development. And it is their ownership of this freedom to learn that will see them giving their best to our customers and business,” Low concluded.